Is there a female counterpart that also has an 90? angle? The link posted is to the straight ones. Would be awesome for connecting two PCBs sideways. If you need only 8 or less connections, the stackable female headers can easily be bent to a right angle. If you need more than 8 connections, you could probably just solder multiple 8-pin headers next to each other, or maybe glue them together. I know probably a lot less than you but I thought the same thing, plus why use silver over gold as a conductor for long-term use? Any idea when these will come in stock? Are there plugs that will work with this header? I'm aware of the female counterpart to this, but I'm looking for something that's easy to crimp or solder to the end of a cable. 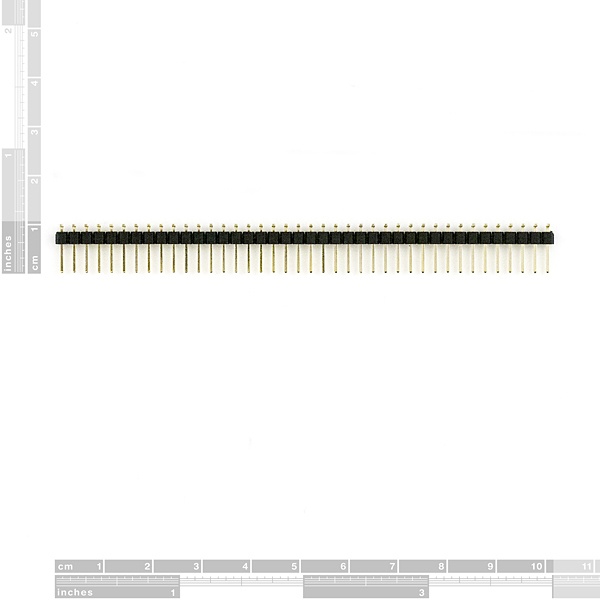 The pin lengths are really about 6mm x 3mm. The pins are 0.025" square. 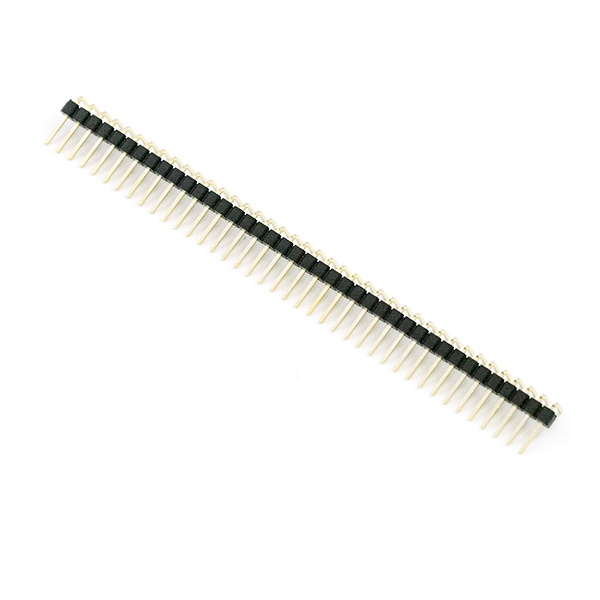 A dimensionally similar part, except it has only 36 pins, is Mouser part number 649-68016-236HLF. any datasheet for these? 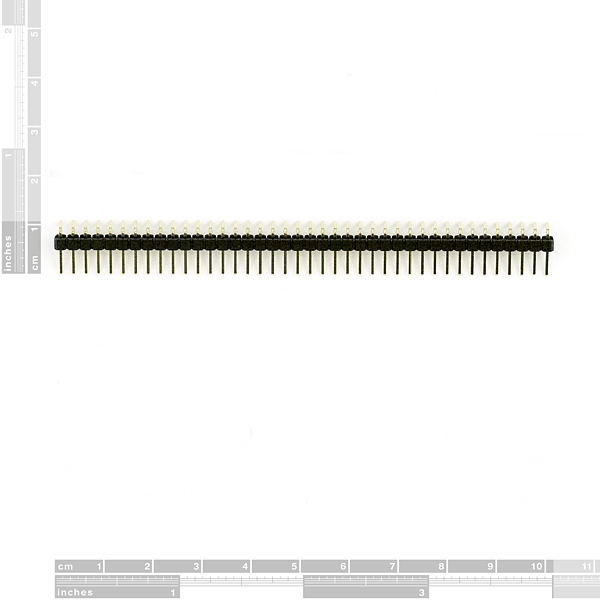 if used with the female right angle headers header what is the spacing between the vertical pins? And you will never have enough of them. I have to order a strip or two with every other order. You can use wire cutters to get the amount you need, but I always just break them. And if you get a few too many broken off, you can use those in something else. Always have a wide selection of pins available. Some times you just need a board to go at a right angle to another. You need these. Well, maybe not all the time, but they can come in handy, so for under $2 you should buy a set to fill your toolbox.